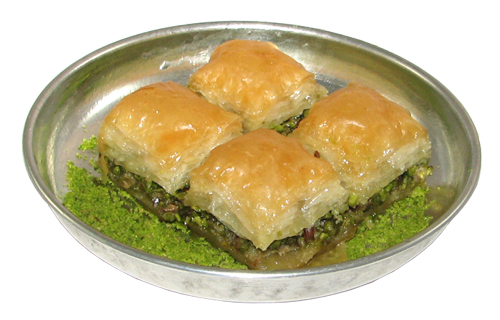 Poğaça are little stuffed savory buns(rolls). They can be filled with many things just like the various Böreks out there. They can also come in various sizes and shapes. There are many Poğaça recipes out there, this recipe is a good one as it is light and close to what you would find at the average Pastane. If you have a kenwood or large electric mixer with a dough hook feel free to use that, if not you can easily make these by hand as I do. Put the flour, yeast, oil, sugar, salt and one egg into a large container and then gradually add in some hot water(not boiling)until you have a nice soft dough. Knead for several minutes until the dough has the texture of an earlobe. Let this rest for 15 minutes. Take large plum sized pieces and roll into balls. Let this rest for another 15 minutes. After they have rested take a ball and flatten out gently with your hand. Take about 1tsp of cheese and place into the centre. Roll up into a ball and repeat until all the dough has been used. Using the other egg, whisk it and brush the poğaça gently with the egg then sprinkle with nigella seeds. Let these sit for half an hour then place into a hot preheated oven and cook in a 200 degree oven until they are a nice light brown colour. For those out there that are on a gluten free diet you could probably make these with a good quality gluten free flour. Poğaça - Different shapes and textures but all one in the same. The herbal ones at the back were very nice and they had a bit of potato in the dough. I love Cherries, most people probably do. The country I come from dosnt really grow that many cherries and because of that they are expensive, very expensive. Most people in Australia probably eat a handful of them on Christmas in the sweltering heat and that is thier yearly indulgence. So coming to a country where they are bountiful is a blessing. I eat as many as I can during the very short season. Im not going to be talking about what we can do with the cherry meat. Ive seen wonderul recipes out there for Cherry handpies, Sour cherry pies, Cherry drinks and desserts. I am going to tell you all what you can do with the Cherry STEMS. Yes the stems of this wonderful fruit has benifits. My guy Dr Saracoglu discovered them and has been all over the tv telling everyone how wonderul they are and what they are good for. 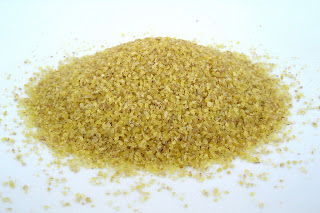 Cleans out the urinary tract, good for kidneys, speeds up the metabolisim, gets rid of toxins especially uric acid, good for arthritis, rheumatisim, good for a few other things I could find the translations for plus very good also for weight loss,and getting rid of excess water. You need to save the stems from the cherries you buy and dry them in the shade. Store them in an air tight container. Put the stems in the water and boil for 5 minutes. Drink this tea once a day and wait for the results. Like all of Dr Saracoglus suggestions he says to drink this for 15 days then take a break before repeating. 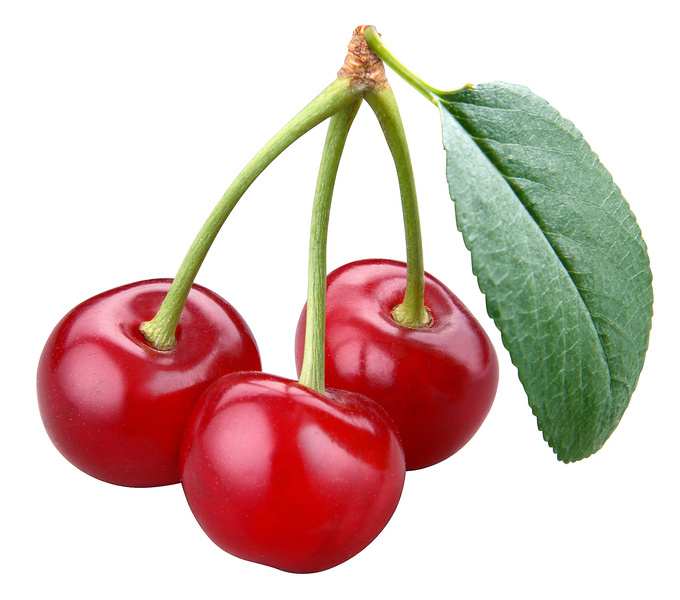 For more Cherry Recipes go to Cherries Pickled and Jammed. Purslane as a soup! 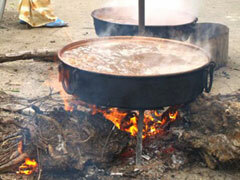 well here it is and this is one of the famous dishes of this region. Finely chop the onion and using some oil sautee. Add in the lentils and bulgur and stir. Pour in 4 cups of water and cook until the lentils are soft. Add in the cooked chickpeas and tomato paste stir through well and cook for a couple of minutes. Add in the finely chopped red capscium and continue to cook. When the capscium is soft and in the chopped purslane. Let that cook for a further 3 minutes then turn off the heat. Add in the lemon juice and salt(to taste). Add in more water if needed and taste. In a small saucepan add some oil and fry the minced garlic for a couple of minutes then add in the mint and chilli powder, fry for a further minute or two. Pour the sauce ontop of the soup. Come with me for a walk through my local Bazaar. Its a Sunday afternoon and the streets are lined with people selling fresh fruits and veggies, cheeses, eggs, lentils, chickpeas, dried herbs and whatever is in season at the moment. Men, women and children all keen to sell thier wares all vying for everyones attention by yelling out the prices as loud as they can. Walk down the other street and you will find dresses, shirts, trousers all flying high with tables piled with shoes and sandles. Walk a bit more until we come to the kitchen and house wares where the ground is stacked with every sort of plastic container, pots, pans and probably everything you need for your kitchen. People are elbowing thier way through the crowds, little kids hanging on eating corn on the cob or a green bean or two. Older people are sitting in the shade of the park watching everything pass them by. The other day when I took my daughter to the doctor she told me to feed her Peaches, Yogurt and Bananas. I thought that the yogurt and banana was fairly self explanatory since she is taking antibiotics yogurt helps with the flora in the stomach and the banana since it is good for diaherra and a mood lifter. The peach had me stumped, what are peaches good for except for being so delicous. When I came home I googled it of course and was surprised that the peach is very good for respitory disorders including asthma as it has mild anti inflamatory properties. İt is also good for alot of other things. I checked with my herbal guy here Dr Saraçoğlu and he said the main thing peaches are good for is to prevent constipation, good for the kidneys, cleans the blood and softens the skin when used as a mask. Helps improve the health of the skin and adds color to the complexion. 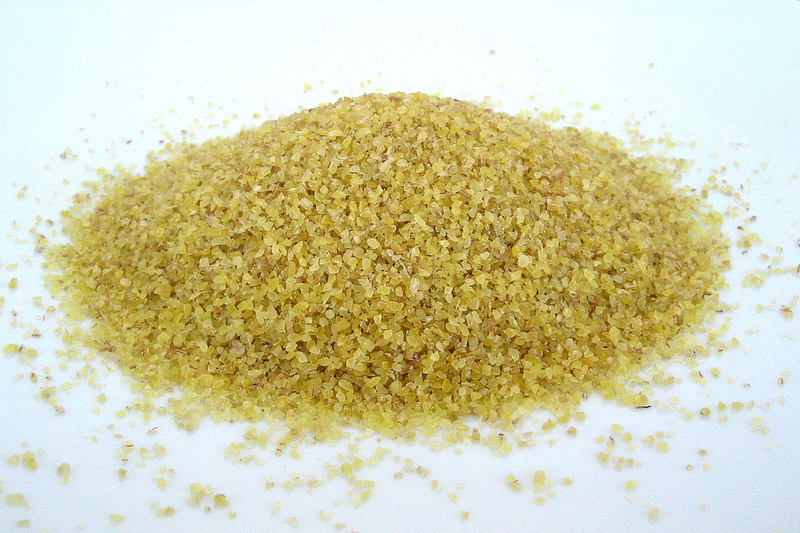 Helpful in the removal of worms from the intestinal tract. 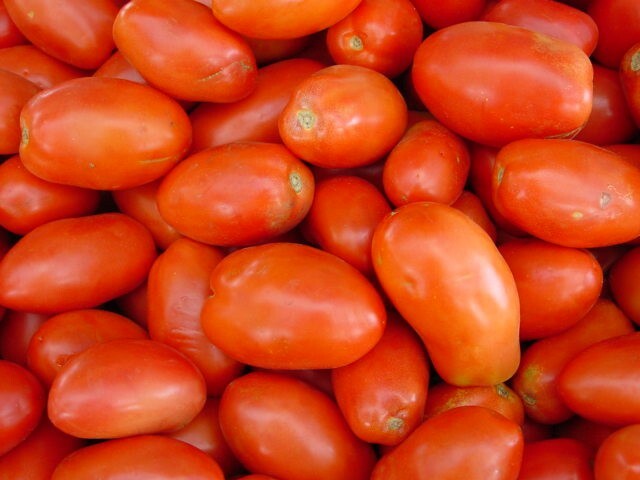 May help prevent cancer in organs and glands with epithelial tissue due to its high Vitamin A content. Boil the water, take off the heat and steep the leaves in the water for about 5 minutes. This is good for kidney stones. The Ottomans had a sweet tooth so they ate and drank many sweet things. Of those Syrups were favorites. Peach serbet was one of the many they drank to indulge in thier sugar cravings. What you do is cook the peaches with sugar and 2 cups of water. 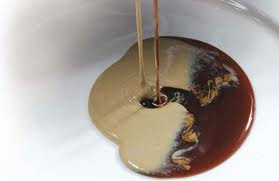 Sugar is to taste because some of you out there like more whilst others prefer less, so I leave that up to you but take into account that it is a syrup and syrups are sweet. When that is cooked down so that the peaches are soft take off the heat and cool. Add in the citric acid. Either using a cheese cloth or a fine mesh drainer process the peaches so that you get all the liquid out. You should be left with the skins and a bit of pulp. Taste the syrup at this stage. If it is too watery or you want more sugar or more liquid add it to the saucepan and put back on the heat until you get the desired consistency. This should be a nice thick syrup that you can make a refreshing drink from either with cold water or tonic or even mineral water. When you think about Turkey what is one of the first things that comes to mind? If your like me Baklava would have to be one of the first things. Now here Baklava can be a labour of love because we make the pastry sheets by hand, rolling it out as thin as possible so that it is transparent. 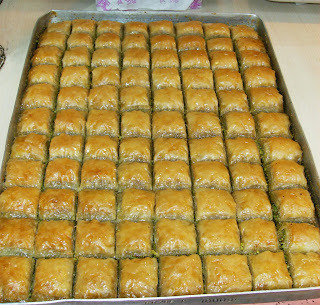 For the baklava purists they say it isnt baklava unless you use 77 sheets of pastry. I am not a Turkish woman so I havent grown up making it from the age of 7. For me to make 77 sheets would take all day. I make mine with 30 sheets and that still takes quite along time. If I wanted to cheat I could go to the pastry shops and buy the sheets from there. They sell them at a very reasonable price, in fact the other day my husband came rushing home from work telling me that there is a pastry shop near his work selling 20 sheets for 4 lira (thats a good price) and then in the same breath said do you want me to buy 60? While I enjoy making the sheets myself I think this weekend I will surprise him. Making baklava is very easy and if you make it people will rave. Try and use a baking tray that is about the same sheet as they phyllo or you will have to break it up making it all a bit messy. Melt the butter in a small saucepan. 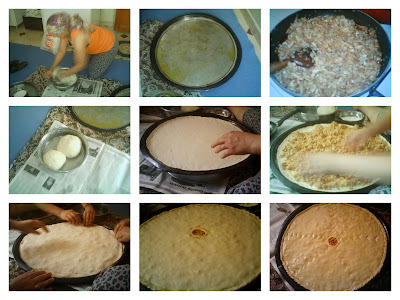 Oil your baking tray first then lay your first sheet of phyllo onto it. Using a pastry brush, brush the sheet with the melted butter. Lay on the next sheet and continue until you have used half the pkt. Take the walnuts and spread evenly over the pastry. Then start by layering the rest of the phyllo sheets. Dont forget, pastry then butter then continue. Taking a sharp knife cut into squares or diamonds. You want to cook this in a moderate to hot oven for 15 minutes until it is a golden brown. Keep a check on it you might have to turn the temp down depending on your oven. While that is cooking make the syrup. Put all the ingredients for the syrup and bring to the boil then boil for about 10 minutes until it has thickened. Take the baklava out of the oven and pour the syrup over it slowly. You want both the syrup and baklava to be hot when you pour. Let it sit until they syrup has soaked up. Then you can serve. It looks nice if you have some crushed walnuts sprinkled ontop. If you want a higher baklava just use more phyllo sheets. Will you go as high as 77? 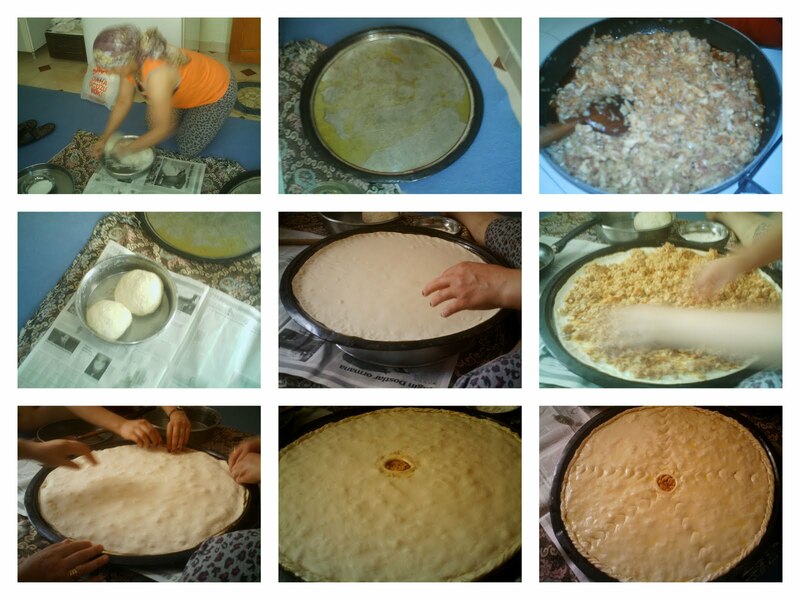 Because this is a Turkish food blog I am giving you the typical recipes. 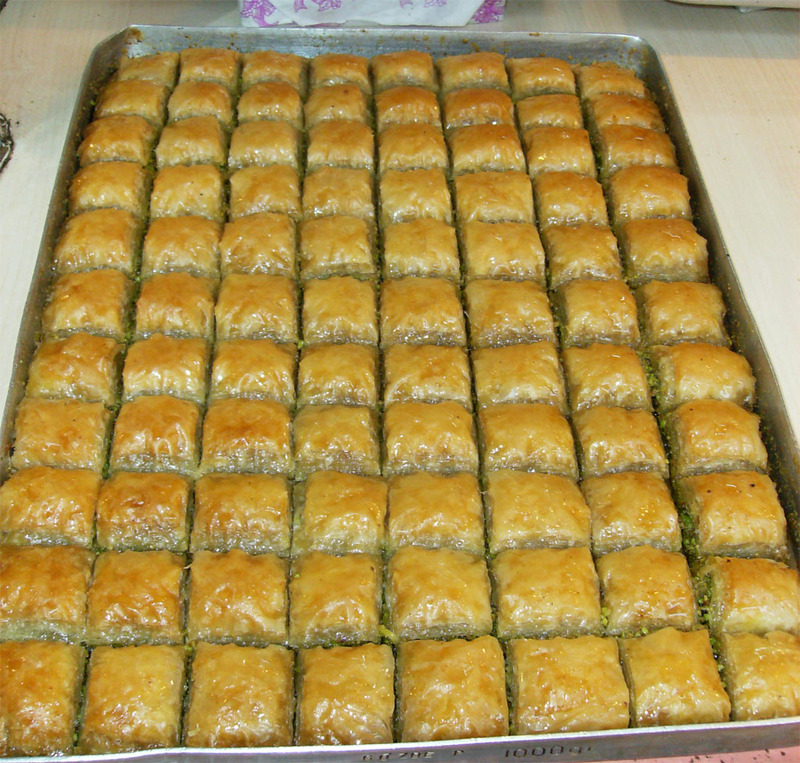 The baklava is made just like this all over Turkey. I am living in Gaziantep and it is very famous for its baklava, they make it just like I have described. 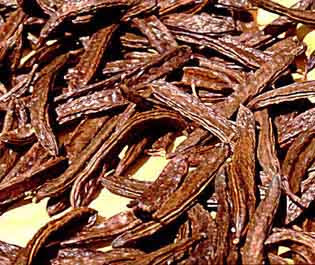 There are many recipes out there saying you can include cinnamon in with the walnuts or cinnamon sticks with the syrup. You can add honey in with the sugar syrup and you can even layer the walnuts in with the phyllo layers. All of those are very nice so it is really up to you on how you make it. Having said I am living in Gaziantep and that Antep is world famous for its baklava I also have to mention that they make it with Pistachios. Everywhere else they use walnuts but here Pistachios are favoured because they are grown locally in the mountain heat. Pekmez is the name given to the syrup made from either Mulberries, Carob pods and Grapes. It is very very healthy even being prescribed by doctors to infants, children, the elderly, infirmed, pregnant women and various other illnesses. Pekmez is widely available at the local supermarkets and bazaars or you can make them at home. You need a quantity of either grape or mulberry juice. I would start with 5 litres as you need to boil this down to syrup consitency thus reducing the end volume. Boil the juice in a large saucepan, go from a rapid boil in the beginning to a gradual one until you reach the desired thickness. Check on it throughout and using a spatula scrape down the sides of the saucepan. That is all you have to do to make it. 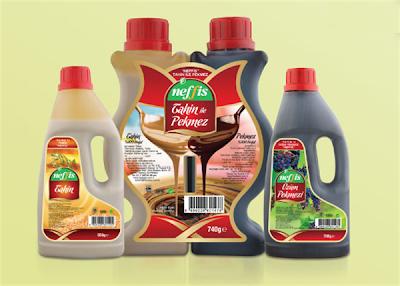 Being a syrup it stores well without further processing. If you made a few jars of pekmez you can water bath them for a better seal. People eat this by mixing pekmez in with tahini(sesame seed paste)for breakfast, drink it straight or mixed with a bit of water for a tonic. 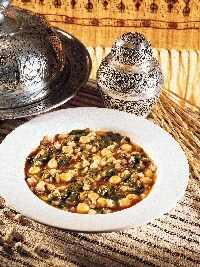 You can use pekmez in various recipes instead of sugar as well. 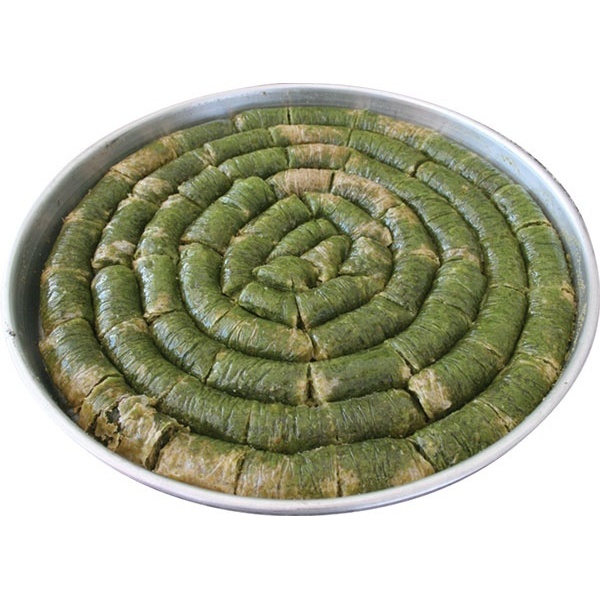 Pekmez is an amazing product and very easy to make. If you can get your hands on good quality grapes or mulberries I highly recomend trying it, replacing refind sugars in todays diet will play a big role in helping you towards a healthier diet. Pekmez and Tahini are sold together sometimes. This shows you how popular a staple it is for breakfast. For those wanting to know Pekmez can be bought from most local supermarkets and small shops. The price goes by the kilo usually and ranges from 6lira to 10.